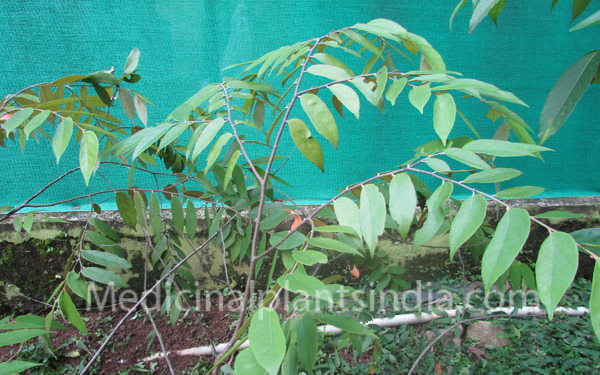 It is large western ghats tree grow up to 28 m tall, the bark is brown, large scaley and blaze, outer bark red and inner side is cream, young branchlets are slender. Leaves are simple, arranged alternately, distichous, densely stellate, narrow, tomentose, size 4.5 to 10 cm and 1.5 to 3 cm,oblong-lanceolate, apex acuminate, margin entire. solitary flowers are white in color, born in axillaries; pedicels up to 0.5 cm long.